← APRIL SO FAR; THANKS, KEANU. Me: Spenser, do you want to go to the park? Why do I hate parks so much? I always have -but not when I was a kid. I liked parks as a child -but even when I was a nanny 20 years ago, I’d be so bummed when the mom would ask me to take the kids to the park. I’ve explained myself before: direct sun, other annoying parents, sharing/keeping track of sand toys, kids pushing my kid, dirty, messy sand in my car, the way the sand makes my feet feel after I leave the sand (sooo dry it gives me shivers,) trying to help S on the equipment but not being able to get to the other side fast enough so there’s a moment of panic when I think he might try to jump off himself, the static shock on the plastic slides, I always bump my head and I have to but my purse in the sand (always looking at it, checking on it) or hold it. I mean, it’s not the worst thing ever… but I’d rather do a lot of other things. 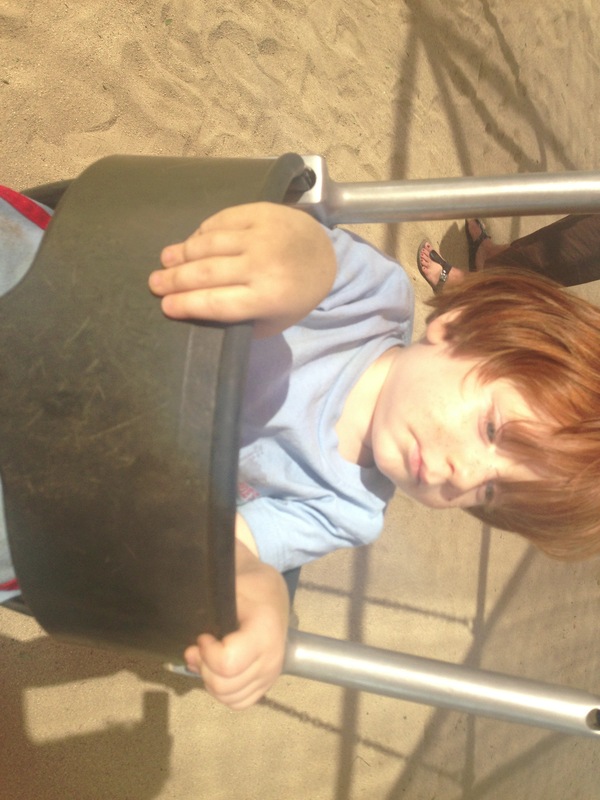 But if my son is so excited to go to the park… I will go…. though from the photo of him on the swing, it doesn’t look like he loves it THAT much.